If you want to visit a place that is glamorous, glitzy and offers a wide range of shopaholics, then Bangkok is the name. The place is widely known for floating markets, splendid temples, delicious food, and much more. Though the place grabs the attentions of millions of people every year, a few places located in the east side of Chao Phraya are must-watch such as Wat Po, Grand Place and National Museum. Shopping lovers call Bangkok a paradise. There are immense options to fulfil the urge of your shopping such as sparkling shopping malls, Chatuchak, and bight markets. Though Bangkok is hot throughout the year, planning getaway during November to March could be better as this time of the year it is bit cooler and less humid. 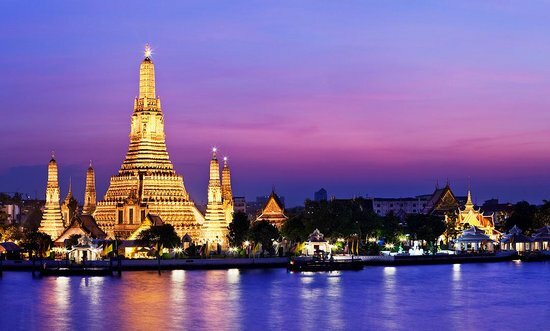 Those who are planning to visit Bangkok for the first time will surely find the place mesmerising, bustling and also overwhelming. To save some bucks on your flight bookings to Bangkok, consider booking your flight tickets in advance. Also, try to secure the corner seat in order to see the best view of Bangkok while your travel. In case you find any difficulty while your trip to Bangkok, please feel free to contact our support team to get the answer of your query.